There's something about kabuki brushes that makes them feel more luxurious. Maybe because they stand on their own and don't get lost in a drawer or a brush holder. They're also quite effective and versatile face brushes, so I was happy to get the new Expert Veil Brush #13 from Make. 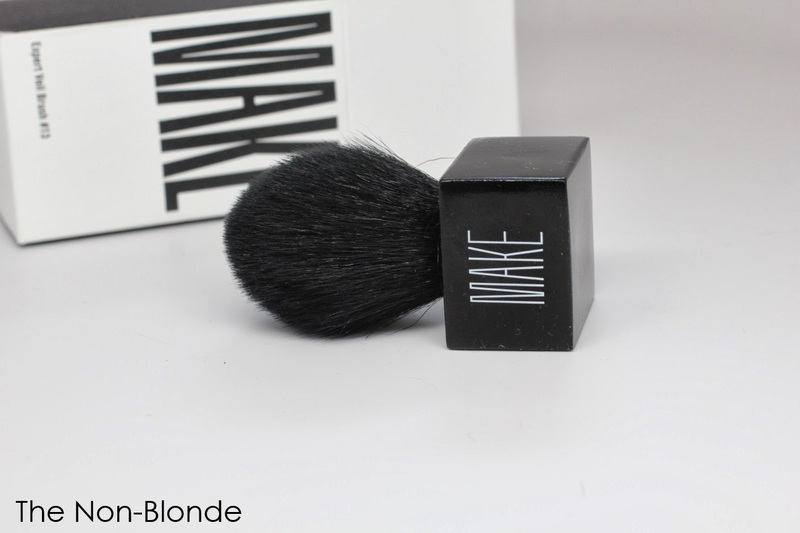 It's a goat hair brush (according to Make the brush, like all their products, is cruelty-free though obviously not vegan) with a domed slightly tapered head that can be used for blush, bronzer, or powder. Make Expert Veil Brush #13 has the familiar feel of a goat hair brush: reasonably soft, a good spring, medium density. It picks a good amount of product and distributes it evenly, and it also does a good job at blending my face products together. 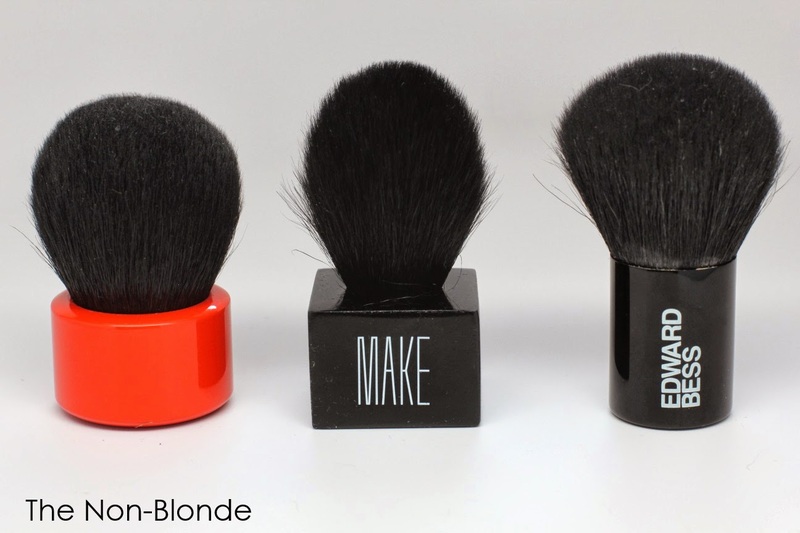 I like that it's quite directional-- see the difference between #13 and Edward Bess face brush or the Hakuhodo Kinoko brush (this one is somewhat softer than Make). Obviously, Make Expert Veil Brush #13 can't buff products the way the other two do, but it's excellent for a precise application and light diffusing. Bottom Line: a great multi-tasker. 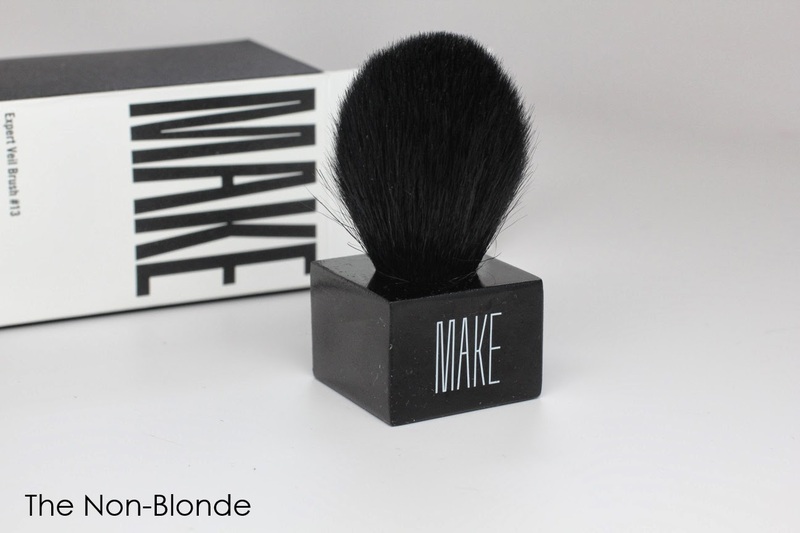 Make Expert Veil Brush #13 ($42) is available at select Barneys locations, barneys.com, and directly from the company's website, weseebeauty.com, where 33.3% of each purchase will directly benefit the WE SEE BEAUTY Foundation, a non-profit organization that funds women-led co-ops in the US.